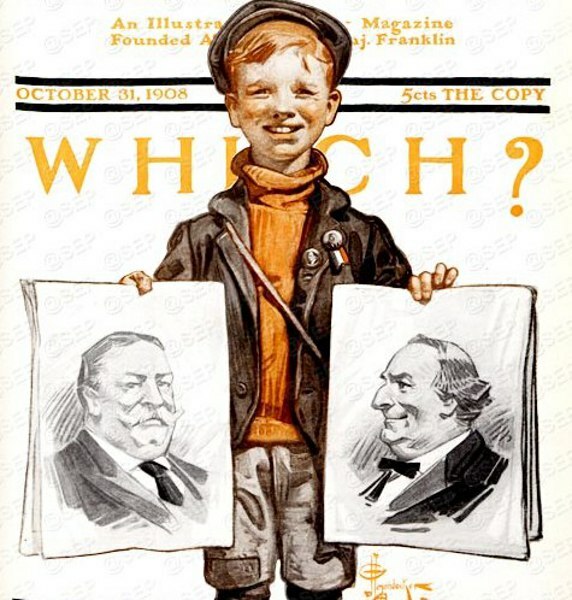 Questa voce è stata pubblicata in LEYENDECKER Joseph Christian e contrassegnata con Abraham Lincoln, Illustrator, Joseph Christian Leyendecker, Saturday Evening Post, William Howard Taft, William Jennings Bryan. Contrassegna il permalink. Your site is absolutly wonderful, congratulations for the good work you do, andi’m admirative about the time you must spend for this. All your reproductions are really nice, I just notice a mistake in the attribution of one painting. 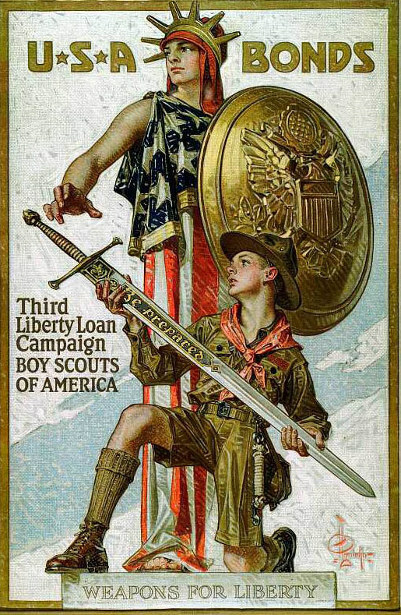 On page 112, the painting titled “Weapons for liberty” is on the Herbert PAUS page, but it’s a Joseph Christian Leyendecker’s work. Again, congratulations to your really nice work, it allowed me to discover many painters that I didn’t know before. thank you very much. You’re right about “Weapons for Liberty”. 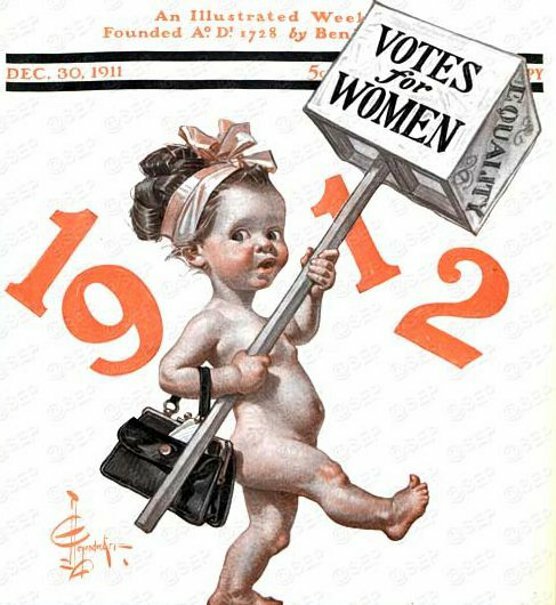 I removed it from Paus page and I correctly posted it here in J.C.Leyendecker’s page. 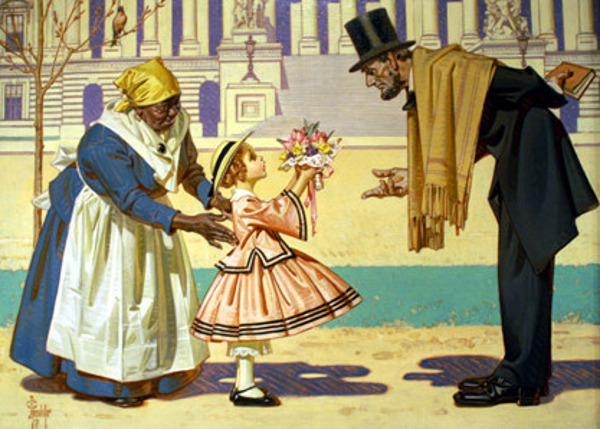 I found the Leyendecker 4th of July painting on your website…. I used to own that painting and sold it in 1999 or so through a dealer, buyer unknown. 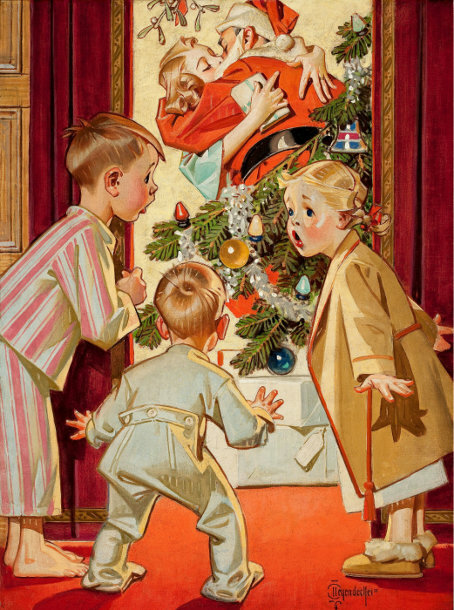 But that IS the painting which hung on the wall in my livingroom along with another Leyendecker one. I got the painting from my cousin (who is now deceased) and had it restored (it had some cracks, etc.). My Aunt Mona and Uncle Loyal posed for that painting. Their mother, my grandmother, was Clara Ann Spencer. She and her kids all lived in New York City and got into modeling because my grandmother had met the mother of Humphrey Bogart who got her into it. She and her kids were on a lot of covers of magazines.